From fun events to movie screenings, Ramadan magic to kids shows plus lots more – there’s plenty to look forward in May! We know, the heat can feel overwhelming and short of spending the entire day in a chilled pool it’s not always easy to think of ways to have fun and entertain the kids too! Well mamas, this May we promise you that there’s plenty to get excited about and lots to add to your diaries. May, we’re ready for you – ready, set, go! With the Holy month of Ramadan due to start mid-month, many of the city’s eateries will be shutting their doors during daylight hours. A whole day of fasting deserves a satisfying meal, so herein lies the question: where and what we going to eat when the sun goes down (the evening meal). From scrumptious buffets to economical yet delicious set meals to even take aways – here’s our top 5 Iftars/evening meals to hit up this month! Want to experience an Iftar with a Peruvian twist then Nikkei restaurant Aji is the place to visit this Ramadan. A handcrafted and show-stopping four-course menu (Maguro Tataki salad, made from tuna with a touch of Mutabal, followed by the Kani Maki sushi, rolled with crab meat, avocado, masago, teriyaki and sweet spicy sauce – to name a few dishes) served beachside at Club Vista Mare, Palm Jumeriah is hard to resist. A la carte is also available throughout this Holy Month. Experience an authentic Ramadan feast while basking in the breathtaking views of the Dubai Fountain and Burj Khalifa (pssstt…worth a visit for the view alone!). The menu boasts a wide variety of Turkey’s finest dishes, and is sure to be a hit among friends and family. Where: Souk Al Bahar, Downtown Dubai (052 487 0924). Throughout the month of Ramadan Ruya will be offering their a Four-course Ramadan menu. Guests can enjoy stunning views of Dubai Marina while indulging in some of the chefs finest creations followed by the perfect ending of Turkish treats and tea. Don’t feel like getting out? Then break the fast in the comfort of your own home! Order in an authentic and delicious Ramadan Iftar menu from Biryani Pot. Perfectly yummy! Shorter school hours - time to play! Ramadan means shorter school and work hours so fill your afternoons with fun things to do as a family! 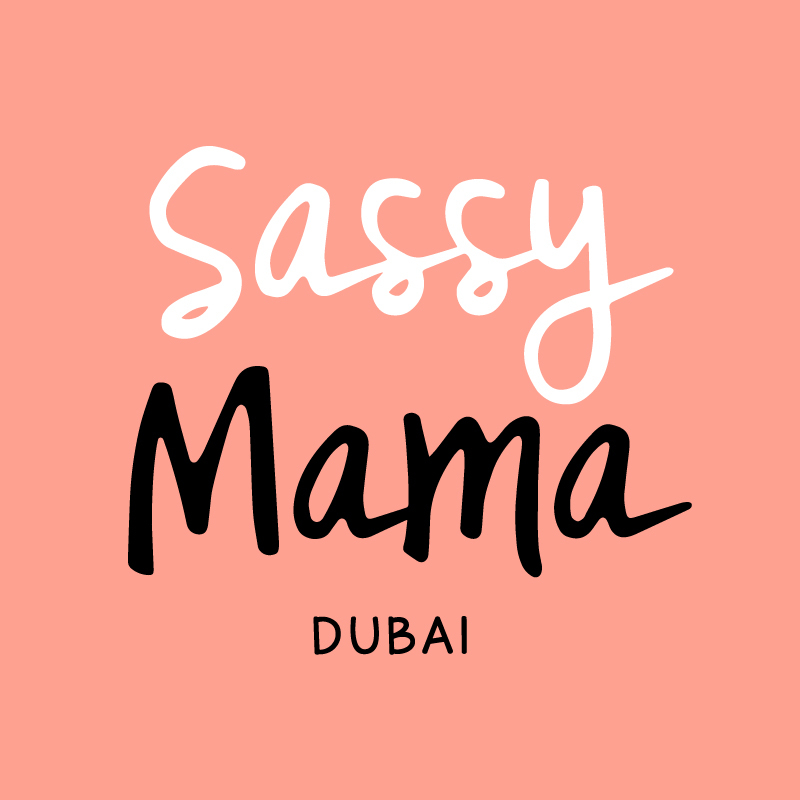 From Indoor Soft Play Areas to Entertainment Options For Mamas Who Hate Soft Play there are lots of things to do! And of course there’s nothing better than dipping into a chilled pool – especially as many of the hotel pools will still be serving food and drinks so if you’re not fasting you can feed the kids and enjoy a little sundowner too. Yay! While we’re all for cutting back on screen time, sometimes the summer heat leaves us with no alternative.Now that outdoors is slowly becoming a no-go zone we’ve selected the best movies to watch over the hotter months. For cinema experiences designed especially for your little darlings, head to the coloured, comfy seats of the children’s cinema at Vox, Mall Of The Emirates. Sit back and relax – you’ve earned this, mamas. With kindness and comedy in its heart, the movie follows the adventures of a little girl Masha and her friend, The Bear. Their relationship is a metaphor of how a child interacts with the big world and how an adult can aid with this difficult task. Masha is a restless little girl who can hardly stand still due to her endless energy – everything she comes into contact with must be tried on! She’s friendly beyond description and treats everyone like she’s known them for ages. Her curiosity and creativeness causes funny adventures… Just the movie for the much mama-daughter quality time. Show timings and to book tickets click here. Iron Man, Thor, the Hulk and the rest of the Avengers unite to battle their most powerful enemy yet — the evil Thanos. Need we say more! Grab the gang and head over to watch their (and your) favourite superheroes in action. Peter Rabbit – THE family movie of the season! Kiddos will love following the hilarious misadventures of Peter, his angelic triplet sisters Flopsy, Mopsy and Cotton-tail, and his war with the mean farmer Mr. McGregor (Sam Neill) in this live action and CGI mash-up. In a modern update for the film, Peter’s feud continues with Mr. McGregor’s great-nephew Thomas (Domhnall Gleason), who inherits the farm. There’s even room for a bit of romance with sweet next door neighbour Bea (Rose Byrne), which is sure to keep mamas entertained! To read more about the movie click here. From the creators of the Academy Award (R)-nominated Ernest & Celestine comes another hilarious, heartwarming tale of animal misfits destined to become a classic. Whoever thinks that the countryside is calm and peaceful is mistaken. In it we find especially agitated animals, a Fox that thinks it’s a chicken, a Rabbit that acts like a stork, and a Duck who wants to replace Father Christmas. In this hilarious tale even the mama cannot stop the giggles. If you want to take a quick time out from the kids (while they are glued to the screen) this is the movie to go to. JA Hatta Fort Hotel: We love anything that gets us closer to nature and this mountain getaway is the perfect way to escape the Dubai summer. With panoramic views of nature and mouthwatering food, outdoor activities including tennis, mini-golf, archery, shooting, kayaking and much more – this flat rate of AED 500* per room is a steal this summer. Click here for more info. Ritz Carlton Ras Al Khaimah is currently offering “Stay 3 nights, Pay for 2 nights” offer on Al Rimal Pool Villas. Promotional rates are valid until May 31, 2018, so get booking, mamas. Click here for more info. 20% Off on the best rate at Kempinksi Hotel, Mall of The Emirates: One of the perks of being a resident. With free access to Snow Park of Ski Dubai, Magic Planet and 20% off on food and beverages plus a late checkout option this staycation is a must do this summer. Click here for more info and other deals. Want to be part of Dubai’s first ever comedy show?! The critically acclaimed musical Spamalot (written by Python legend Eric Idle & Winner of the 2005 Tony Award) will be at Dubai Opera from 2-5 May. Adapted from the hugely successful 1975 film, Monty Python and the Holy Grail, the show is set in medieval England and is a riotous comedy full of misfit knights, killer rabbits, dancing nuns and wild Frenchmen. Join King Arthur as he travels with his ill-fated Knights of the Round Table on a divine mission to locate the illusive Holy Grail. To book tickets and know more click here. A super fun three-day Russian cultural extravaganza returns to City Walk this May with the third edition of the very family-friendly Matryoshka Festival, which will see the popular urban lifestyle destination transformed into a magical wonderland. From live singing to unique pop-up stores, a traditional yarmarka (market) to yummy scrummy Russian food – there’ll even be the change to watch prima ballerinas from St Petersburg’s legendary Mariinsky Theatre before a spectacular evening light show. Football fans will be able to enter a raffle draw to win FIFA World Cup 2018 tickets while art lovers can check out an exhibition of giant matryoshka dolls painted by local and international artists. And for the kids? Endless opportunities to try traditional games and activities. See you there, da? May 2nd – 5th, City Walk. What are your plans on Saturday, 5 May at 8am? Well how about dusting off your sneakers, bundling up the kids (who will have been up for hours anyway) and putting all that energy to good use at the Cigna Park Run in Zabeel Park? Aimed at families and ‘runners’ of all ages, this is the perfect way to get out before it gets too hot – to do something as a fam and to enjoy Zabeel’s gorgeous green open space. On 10 & 11 May, Monstersaurus, a play based on the bestselling book by Claire Freedman and Ben Cort, comes to Dubai at Madinat Theatre, Souk Madinat Jumeirah. This is the story of Monty, a young inventor who decides to create a world full of wacky monsters. Once he’s made them, he realises he doesn’t quite know what to do with them (scary!). This energetic show full of thrills, spills, magic and mayhem, complete with dance routines and songs to sing along to – a show that will delight the whole family. Center Stage Arts are currently offering you a FREE ticket to see Monstersaurus Live at the Madinat Theatre on 10 May at 4pm! Simply use the promocode “FAMILYPACK” when booking your tickets through the Madinat Theatre website – here and you’ll get four tickets for the price of three. Hooray! Dubai sports world opens again! Dubai Sports World is back on May 16th – yippeeeee! The heat is no longer an excuse to avoid exercise (for you or the kids!) as this brilliant set up offers all you active people of Dubai a chance to enjoy heaps of sports indoors during the summer months. With one of the biggest indoor playing fields, which include football, rugby, basketball, volleyball, tennis courts and more. Book a court with your fam or simply join in with other players and enjoy playing your favorite sports in an indoor setting. They also run a fab sports camp for kiddos of all ages and including everything from trampolining to table tennis, yoga, dance and even an AWESOME Ninja Warrior assault course (we want a go on that…). ‘Have a niiiiice daaaaay…’ – in fact have a nice afternoon mamas at the Media City Amphitheatre on Friday, 11 May when brilliant British band Stereophonics will be playing live. Ending the Australian and Asian leg of their worldwide tour in the UAE and make a long awaited return to Dubai for one night only, these guys will be performing their hits – and tickets include a brunch deck, picnic areas and lots of other entertainment too. Time to let your hair down, mamas! The world’s most awaited event (other than the birth of gorgeous little Prince Louis) is almost upon us! On Saturday, 19 May Prince Harry will marry Meghan Markle and you are cordially invited to Reform’s Royal Wedding Party Brunch in association with Berry Brother’s! Watch the Royal Wedding screened live on the big screen and enjoy food, drink and good old British Merriment! There’ll also be a fantastic prize for the best hat or fascinator, so dress to impress! Hero image sourced via Travel Junkie Diary. Iftar image sourced via Gunyan Dubai. After school image sourced via Kaya. Movies and Staycation image sourced via Hippie Lane. Spamalot & Dubai Mall extension image sourced via The National. Monstersaurus Live image sourced via monstersauruslive. Royal wedding image sourced via Telegraph UK.